The cold weather on Thanksgiving day did not stop students from Mamaroneck High School from raising more than $16,000 during the 2018 Turkey Trot fundraising campaign to support Students for Senegal. Students used the Pledge It Auto-Engagement tool to invite family and friends to support their fundraising campaign. Students for Senegal has a mission of expanding access to education in the West African nation of Senegal by building learning centers, providing education supplies and promoting cross cultural exchange. The organization is led by high school students who had an idea to partner with their local town government for the 2018 Turkey Trot 5k Race. Students for Senegal and the town offered free race entry for students if they raised at least $50 through their Pledge It campaign with incentives if they raised more. The students who run the club recruited their family and friends to raise money by joining Pledge It as individual Fundraisers and then asked for donations from their contacts through the Fundraiser Auto-Engagement tool. 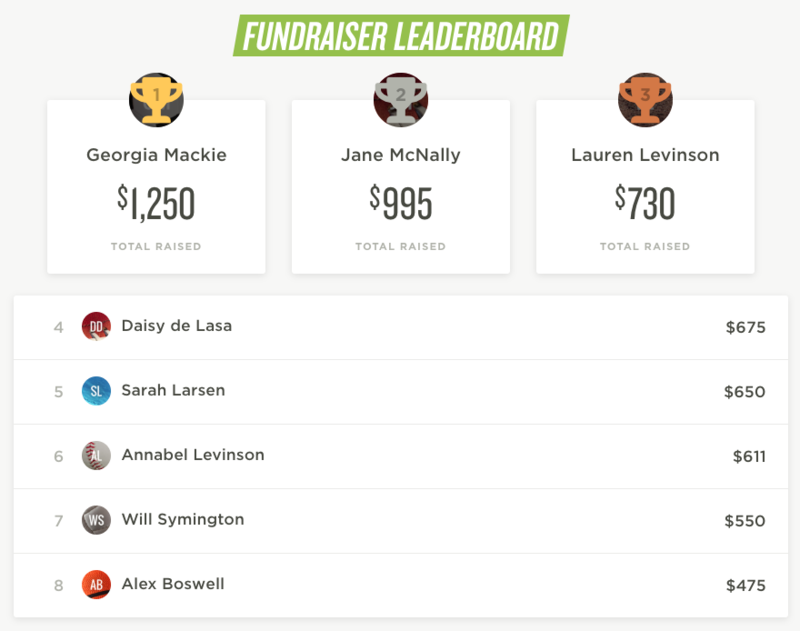 This ability to leverage individual fundraiser's expanded each students network in a simple, clean, intuitive interface that was vital to the success of the fundraising initiative. "Overall, Pledge It was fast to set up, the cost can’t be beat (credit card fees only), and most importantly, easy to use so that students could get their own pages set up with a minimum of time and effort. The daily updates and great support from the team helped us stay on top of the fundraisers progress and follow up with those who needed a few more reminders to get going. Their staff reached out to us multiple times with helpful suggestions and tips and really cared about making sure our campaign was successful. One of their team members even came to cheer us on at our race! Altogether, these features allowed us to more than triple our original fundraising goal making it one of the most successful events we have ever run!" Learn more about our free online fundraising!